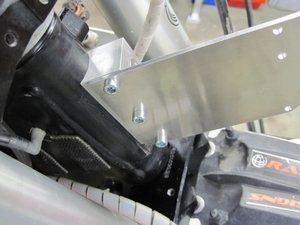 Bolt-on MRS frame bracket kit. 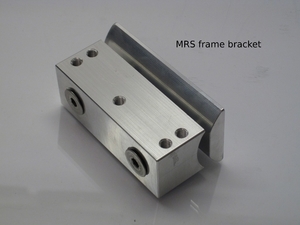 Everything you need to fit a rock solid frame bracket for MRS system or own build. 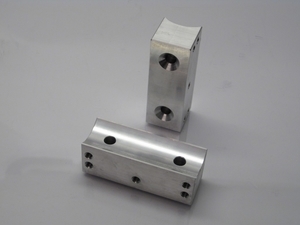 Creates a sandwich with the frame in the middle, and therefore makes it the strongest frame bracket in the market. Welding is not recommended around bearings. This is Raid Designs own product. Tested in Dakar rally 2013 and several most european rallies since! Fits all KTM and Husaberg frames with 51 mm diameter frame tube (EXC/SX,) (RFS). For other frames, send us an e-mail and we'll make it without extra cost. 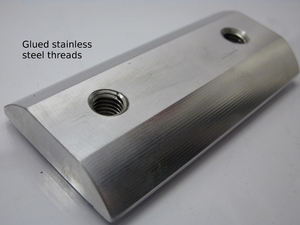 2 M8x40 Stainless Allen head screws.